Lakshadweep is a perfect amalgamation of island surrounded by the vast Arabian Sea, off the coast of mainline India. Set amidst the majestic sea and tall palms, Lakshadweep are an ideal destination for all the adventure junkies. 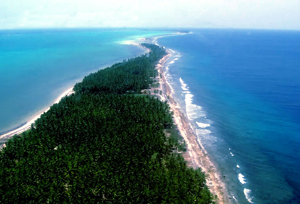 Considered as the smallest Union territory of India, Lakshadweep is far away from the chaotic hustle - bustle of the city. The island has retained its cultural values and ethos, being unsullied by the swell of tourists and holidaymakers as compared to other islands. Forming a northern extension of the Maldives chain, Lakshadweep is 220 to 440 km off the Kerala coast and reachable from Kochi by ship. 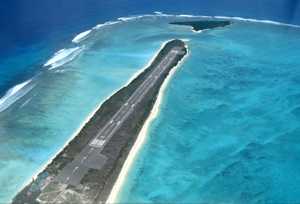 Literal meaning of Lakshadweep is one hundred thousand (laksha) islands (dweepa). This isolated island comprises a string of 36 palm-covered white sand coral islands, coral reefs, coral atolls and several smaller islands. Out of these islands, only 10 are inhabited namely Agatti, Amini, Andrott, Bitra, Chetlat, Kadmat, Kalpeni, Kavaratti, Kiltan and Minicoy. Imagine a small, isolated island which is serene and pristine, a place where sand shores are splashed by the waves of turquoise water. 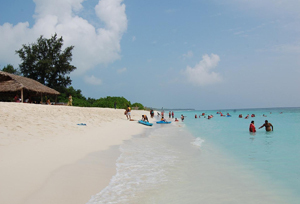 Welcome to Lakshadweep which has everything one can ask for in their ideal vacation. The isles of Lakshadweep are a paradise for all the water sports junkies offers facilities for activities like yachting, snorkeling, kayaking, water skiing, scuba diving, wind surfing, and canoeing. Other than the water sports, Lakshadweep is the only place where one can see a coral reef formation. Some of the islands are famous for its water sports activities; others are endowed with the beauty of coral reef, sandy beaches, unpolluted and clear water. Tourist can also see the beautiful lagoon of level depth which is a perfect site for swimming. 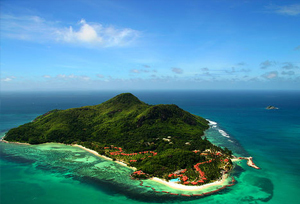 The rich marine life and the fantastic coral reef formation only add to the mystique of the isle. 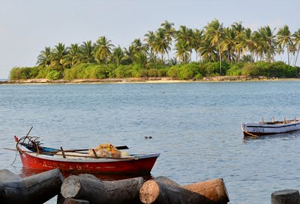 With an old-world charm and traditional lifestyle, Lakshadweep offers an interesting insight for its visitors Island of Lakshadweep speaks magic. Lakshadweep is a real getaway from the cacophony of crowded cities and offers a memorable escape in to isolation. Bright sunny days, a perfect palm fringed white sandy beaches, garrulous waves washing the shores and above all water sports makes Lakshadweep a heaven on earth. 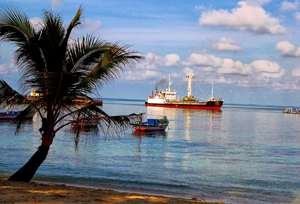 One can expect a lot of tranquil and peace from the sights of Lakshadweep. It's a fine place to soothe frayed nerves.